Etsy is a unique and exceptional marketplace, which stands out from all others for its content. That is one of the most popular global sales channels for vintage, handmade and other exclusive products. Etsy sellers understand how important it is to deliver goods safely and carefully. For this reason, online sellers have to decide which shipping carrier to choose for their Etsy sales, to fulfil their orders. 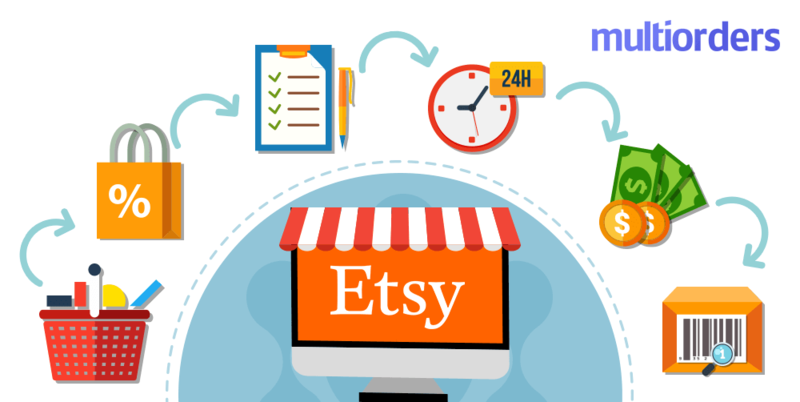 In this article, we will explain which solution is the most cost-effective for Etsy shipping and how to complete shipments. Whether you are still thinking about how to satisfy your customers and fulfil their needs, your answer is to focus on a shipping service. Most of the time, bad reviews and unpleasant reputation are based on late shipments or poor customer service. All these e-commerce threats can be avoided with the right choice of shipping carrier. Of course, online sellers can try many different shipping carriers to find the most suitable one, but there is an easier way to do it. The undeniable fact is that a third party help is an irreplaceable tool to accelerate your business. Furthermore, a management software helps you spend less time on shipping, completing it without any flaws. 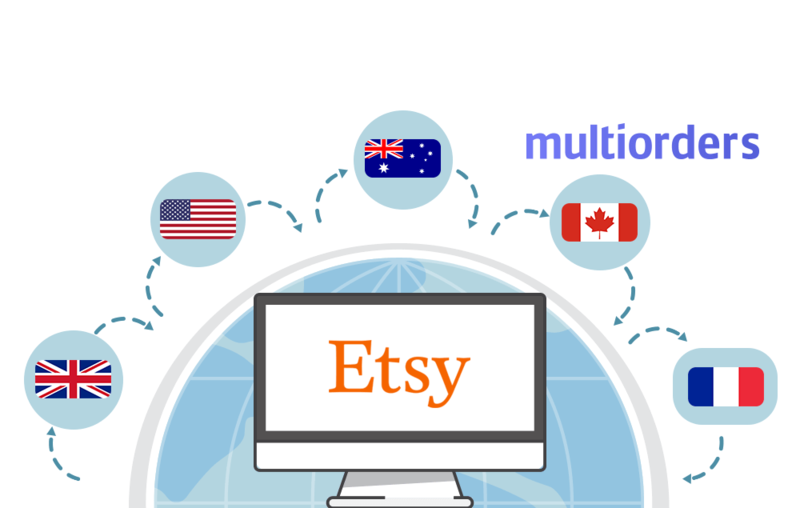 Multiorders software has an integration with Etsy which allows you to fulfil your orders with a few clicks. 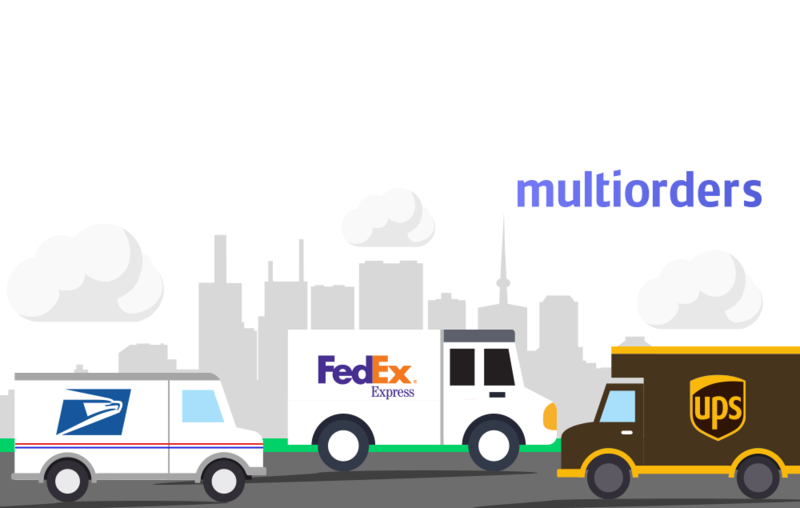 Multiorders has integrations with all shipping carriers and offers you the best shipping rates. 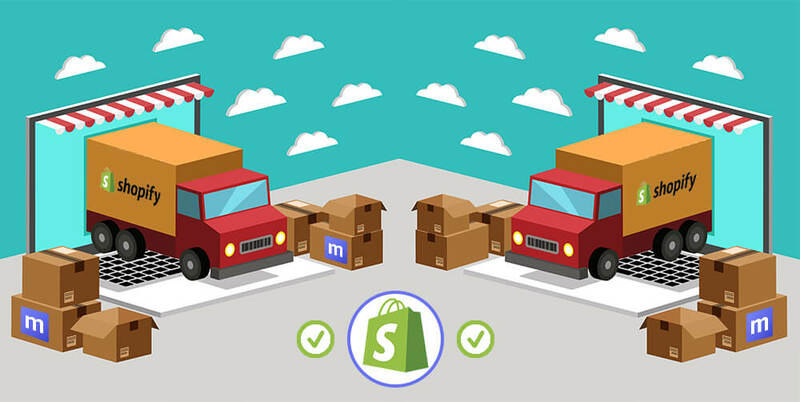 Multiple integrations allow you to choose a different shipping carrier for each order. Not to mention that you need to simply click on the chosen one and Multiorders will do the rest. Fulfil your order in a single dashboard, because all parcel information is auto-synced to a selected shipping carrier. USPS shipping carrier. 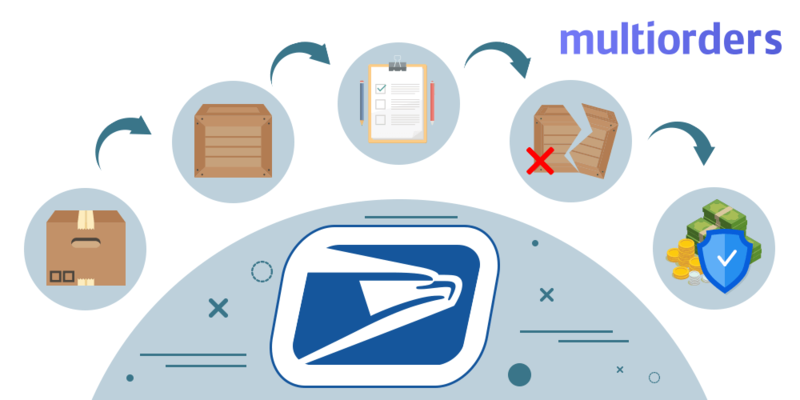 Multiorders provides you with the best commercial USPS shipping rates. In other words, it is much more convenient and cost-effective than selecting a direct Etsy shipping integration with USPS. Parcel2go shipping carrier. Despite the fact that Etsy shipping in the UK offers their integration with Parcel2GO, Multiorders is able to provide you with a more convenient system. Flawless service, which allows you to use shipping services with the widest variation of UK shipping carriers. Also, you can use the best shipping quotes and make your business more efficient. Despite these two shipping giants, Multiorders also offers other most popular shipping carriers, such as RoyalMail, myHermes, DPD UK, etc. By using our software you can ship each order with any of them. Also, as soon as you ship it, you can print labels in bulk for all your orders. Nevertheless which shipping carrier you choose, as soon as you process your order, all shipment tracking data is auto-synced. 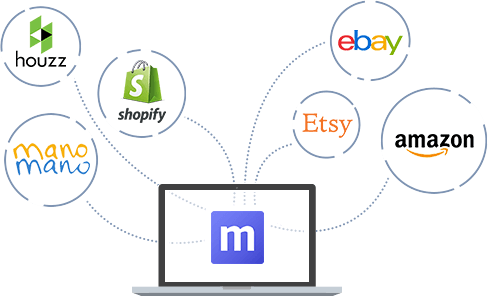 Multiorders automatically adds tracking information to your Etsy marketplace and additionally informs your customer. That way, the online seller won’t need to check and update any shipping information. As mentioned before, you can fulfil your Etsy shipments with all carriers, as well as print their labels. To make your e-commerce business even more efficient a single Multiorders dashboard allows printing labels in bulk. The cost-effective way to process your Etsy order, by simply clicking on a chosen shipping carrier. Etsy shipping management is as simple as their inventory management. Multiorders created a solution to simplify your daily tasks - an adjustable inventory management system. In this manner, you can change your stock-list, pricing or product description and it instantly appears in your Etsy marketplace. Also, you can make changes in bulk, without switching from one product to another. 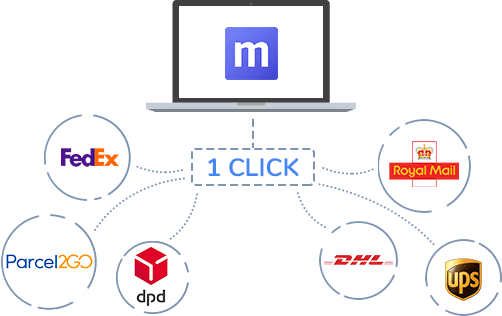 Multiorders allows fulfilling orders about three times faster! 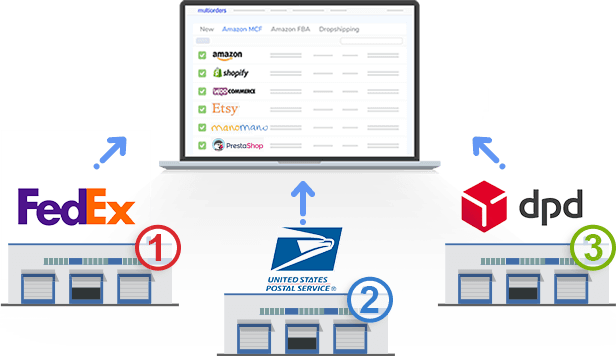 Not to mention, that our software helps accelerate your Etsy shipping and inventory management, it also provides the same services to all other marketplaces! Multiorders has integrations with all sales channels, so you can connect them into a single dashboard. A cost-efficient way to control all your inventory, shipments and orders, by creating a perfect workflow with Multiorders. GUIDE: How Does USPS Insurance Work?